Oh, friends, Saturday is the day! We have new Steven Alan for boys & girls, new Wildfox, and the new 2L exclusive tees that we’re super excited about! We’ll be tweeting you details and t-shirt pics, so be sure to follow us @twoellerabbits. And the music! 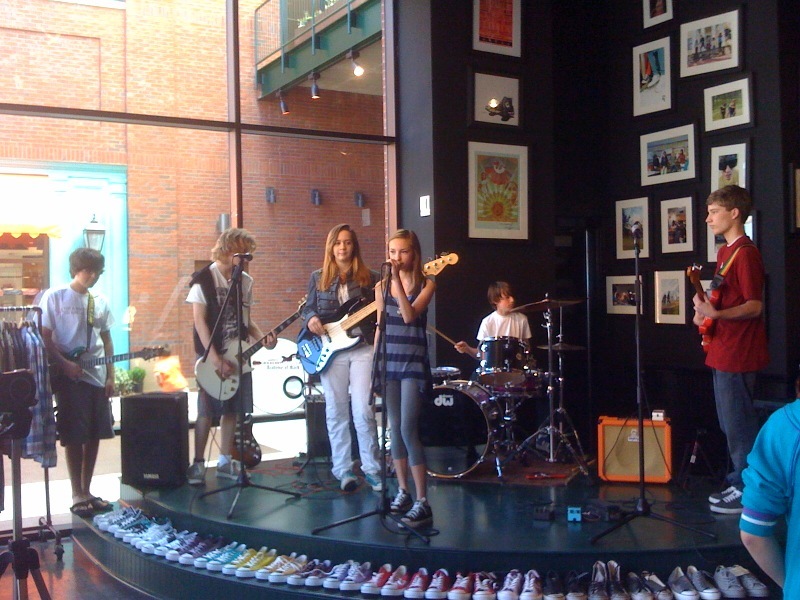 Live music all day long plus treats from Whole Foods and Easter Egg painting at Popo in the morning. So, yeah, Saturday is going to rock…. It’ll be a full day of music & new spring clothes. Oooh, and from 11-1 PM Popo will be doing Easter Egg painting! Happy Birthday, Steve, and a happy Saturday for all of us! 3 Simple Steps . . .
1. Steven Alan plaid button down. 2. 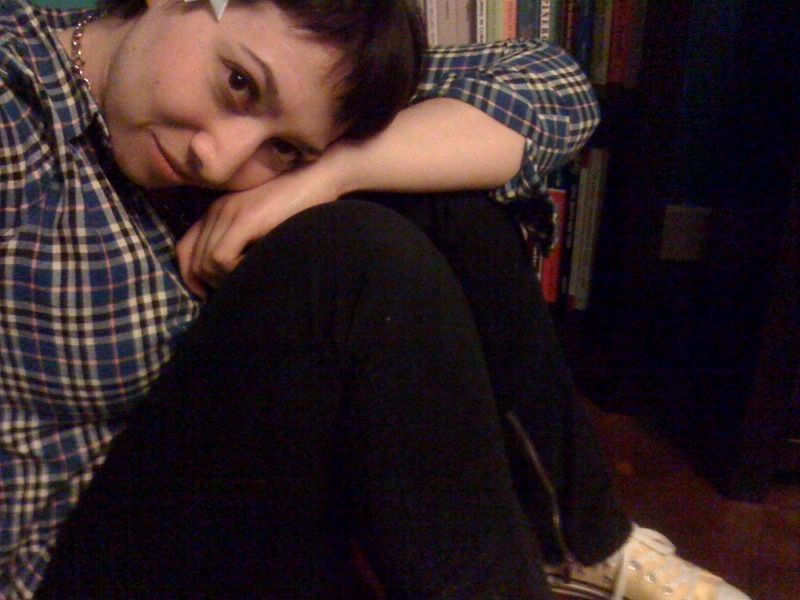 Converse Chuck Taylors. Any color. 3. Tarina Tarantino accessories. As many as possible. It’s a simple formula, friends. 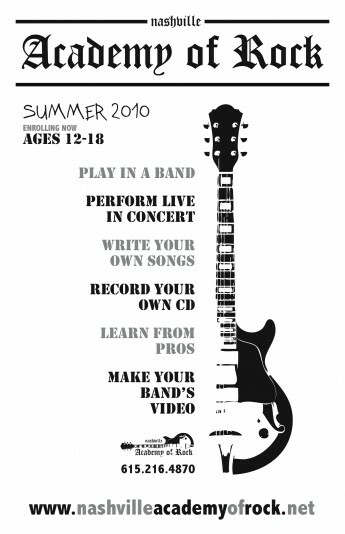 And it also works for boys…although we’d suggest skipping Step 3. Steven Alan + Chucks, however, should be everyone’s uniform for spring! We never know who may pass through our doors, famous or otherwise. 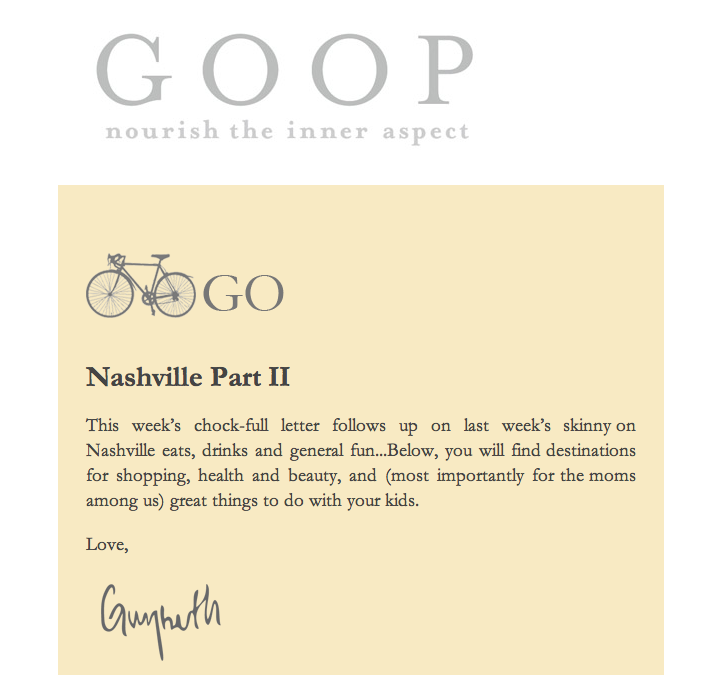 Gwyneth Paltrow made a list of all her favorite places in Nashville, and she gave us a special mention! Check out the full article in her Go section of goop.com. Oooh, and fingers crossed she comes to our full day of shows Saturday, April 3. 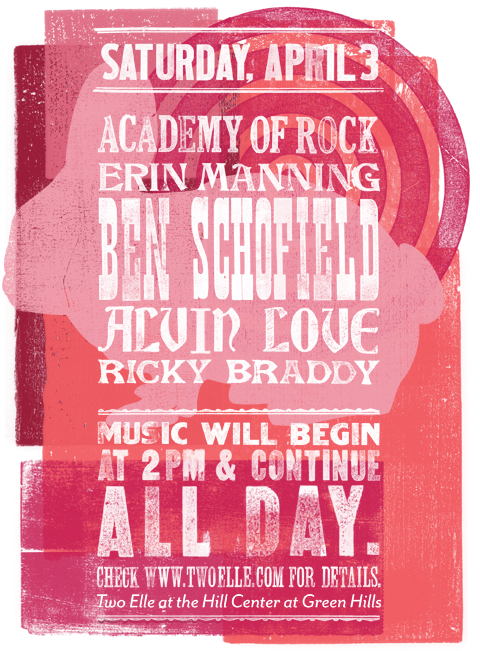 We’ll be pumping you with more details, but for now plan to be here all afternoon, because the line-up includes Ricky Braddy, Alvin Love, Ben Schofield, Erin Manning, and the kids from Academy of Rock.